The kids are visiting from Uni for a week. They have brought their appetites, homesickness, and dirty laundry with them. You have stocked the fridge with their favorite foods, and have a menu of delicious home-cooked meals planned out for the week. You even bought a family sized bucket of laundry detergent from Woolies in anticipation of their visit. Tonight you are making your famous pea and ham soup It is a family favourite. This hearty meal is just what the kids need after a long trek in with their bags. You also baked some Lamingtons, your daughter’s favourite. Nothing like a traditional home cooked meal to celebrate the kids coming home. After dinner, it is time to relax. You head into the living room where you can all have a spot to curl up on the couch. It feels just like old times. You reminisce on past memories, feeling nostalgic. The kids spend nearly an hour separating and sorting out their laundry based on colors and washing preferences. Once all of the laundry has been sorted, the kids shove the first load into your washing machine. To their surprise when they go to choose a cycle, the washing machine will not start. They run to tell you, frustrated you mumble “what did you do now! ?” You try to start the machine yourself, but have no such luck. No need to fret, you have the best appliance repair company in Wollongong saved in your phone for times like these. 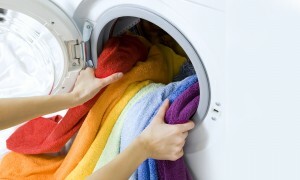 You call up All Good Appliances and schedule a repair for your washing machine. Luckily the kids are here for the entire week so you are in no hurry.